Golfing legend, Tiger Woods, gave Nike a few reasons to smile yesterday after his win at the 2019 Masters tournament added a whopping $2bn to the company’s value. Welcome back, Tiger! Throughout all of the scandals, injuries and DUI arrests, Nike has stuck by Tiger as his primary sponsor since 1996, refusing to give up on one of its most famous ambassadors. Companies, such as Gillette, AT&T and Gatorade all cut ties with Woods in 2009 after a number of incidents made him somewhat of a pariah – but not Nike. Tiger’s first Masters win in 14 years and his fifth “green jacket” makes it one of the most momentous comebacks in sporting history. 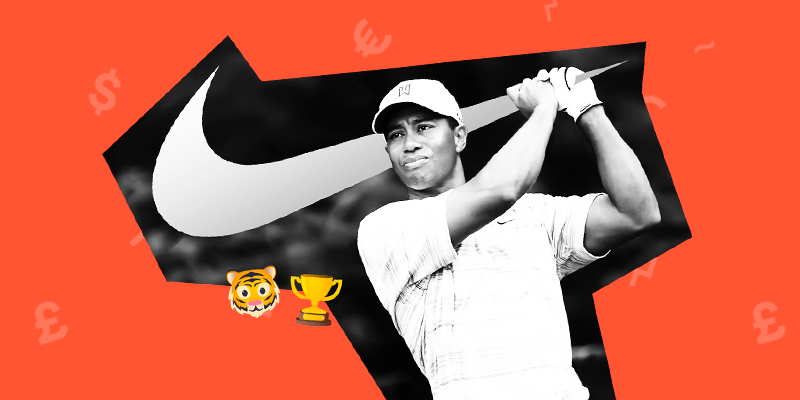 Nike’s stock price rose gradually throughout the tournament, bumping up over 2% from the 11th-15th as demand for Nike’s Tiger branded products spiked too. The “Tiger effect” from his win also filtered through into other golfing brands, such as Callaway and Titleist which jumped 4-5% over the course of the tournament. Interestingly, Nike’s stock price has an interesting connection to its ambassadors, showing sensitivity to their performance. The most recent example is Zion Williamson’s shoe malfunction which cost Nike $1.1bn in market value. Ouch! Nike will be hoping that the Tiger of old is here to stay!